PARTNER NEWS: NXP has unveiled a series of solutions for secure wearables and the Internet of Things (IoT) at CES 2017, including a new test bed to support the development of products and applications using embedded secure element (eSE) technology and a new module to add support for NFC to a wide range of wearables, home appliances and IoT devices. The new R&D test bed for NXP’s Secure Service Development Platform (SSDP), which lets developers quickly build secure applications that make use of eSEs, will accelerate the time to market for wearables, the company says. As examples of success stories coming out of the new test bed, NXP cites Swedish partner Palago’s development of multiple contactless transaction services using wearables and Canadian company uConekt’s uBolt tamper-resistant wearable bracelet to store personal and private information. Meanwhile, the new MikroElektronika NFC click module adds support for NFC to Hexiwear wearable devices, smart home and IoT devices, removing barriers to adoption by making it easy to include NFC functionality, NXP says. NXP has also announced at CES that it is working with Microsoft on an end-to-end solution project for securing connected things using the Microsoft Azure IoT Hub. The company’s Mifare Desfire EV2 contactless ICs are also being used to power all-in-one NFC badges issued to CES attendees that let them enter the exhibition, ride the Las Vegas Monorail and access bike-sharing services. 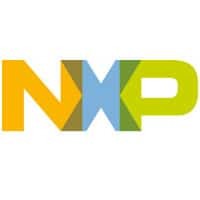 At this week’s CES 2017 exhibition and conference, NXP Semiconductors N.V. (NASDAQ:NXPI) will showcase how top global developers can deliver a future where everything is secure, smart, and connected. From new solutions to new partnerships, NXP is spearheading innovation for security, the Internet of Things (IoT), and automotive. At CES 2017, NXP announced it will advance security for the IoT with Microsoft. The solutions will be demonstrated at CES and combine the best of hard- and software security with other capabilities such as voice control and self-learning algorithms, for use in smart homes, connected cars, and smart connected devices. From January 4-8, Microsoft, NXP, IAV and auto mobility partners, Cubic Telecom, Esri, and Swiss Re, will showcase their collective vision of safe and secure end-to-end mobility through a highly automated driving demonstration and experience. Vehicle-to-vehicle communications will continue to gain relevance, especially in the U.S., since the U.S. Department of Transportation proposed a rule to mandate the technology in new cars. The new Rinspeed “Oasis”, an ingenious self-driving electric vehicle on display in Las Vegas, will use a wealth of NXP technologies for enabling securely connected, self-driving cars, including radar “cocooning”, V2X communications, automotive NFC, NXP BlueBox Sensor Fusion, long-range RFID and many more. Advanced sensing technology allows the system to capture a 360-degree view of the vehicle’s surroundings with pinpoint precision. To drive innovation for future wearable technologies, also NXP revealed results from a new R&D test bed that supports development of products and applications using embedded Secure Element (eSE) technology, which underscores the company’s ongoing commitment to invest in the future development of secure payment, transit, authentication and other services for connected devices. Some of NXP’s latest successes resulting from the test bed are highlighted by solutions developed by its partners Palago and uConekt Inc.
NXP announced the SAF4000 – the world’s first fully integrated software defined radio solution capable of covering all global broadcast audio standards, including AM/FM, DAB+, DRM(+) and HD. The new IC represents a breakthrough in simplifying the development of high-performance infotainment platforms as it combines six ICs, thus replacing today’s multi-chip solutions with a single ultra-compact RFCMOS device. NXP introduced the i.MX 8M family of applications processors specifically designed to meet increasing audio and video system requirements for smart home and smart mobility applications. NXP’s i.MX 8M family addresses the major inflection points currently underway in streaming media: voice recognition and networked speakers in audio, and the move to 4K High Dynamic Range (HDR) and the growth of smaller, more compact form factors in video. The company also introduced the new roadmap for the LPC MCU portfolio based on the LPC800 and LPC54000 series with a robust pipeline of ARM® Cortex®-M-based devices for next-generation consumer and industrial IoT applications. To help make connections faster and more reliable on smartphones, tablets, wearables and small Internet of Things (IoT) devices, NXP announced its new wireless local area network (WLAN) Low Noise Amplifiers (LNA) with Integrated Switch. Additionally the company introduced the easiest way to add Near Field Communications (NFC) technology to Hexiwear wearable devices with the new MikroElektronika NFC click, powered by NXP. The new module is a mikroBUS™ add-on board with a versatile NFC PN7120 IC controller that makes it easy to incorporate NFC, removing barriers to adoption. NXP unveiled the industry’s first Type-C USB solution that fully charges mobile, computing and virtual reality devices in less than an hour. The end-to-end solution is the smallest in market and includes unique rapid charging coupled with USB PD PHY for the first fully compliant Type-C Port Controller (TCPC) implementation. Also at CES 2017, NXP introduced the first high-power wireless charging solution for notebooks and 2-in-1 tablets, with up to 100W of delivered power, covering a wide range of power supply requirements for this segment. At <2mm in thickness and low component count, the solution is capable of fitting into the tightest industrial design constraints. Wireless charging has been a popular addition to smartphones and other small portable electronics. Portable computing devices, however, need considerably more power than available from smartphone chargers. This new NXP solution now allows consumers to have a truly cord-free experience with notebooks and 2-in-1 tablets, even with their higher power consumption requirements. NXP will showcase more than 100 demos from the smallest microcontrollers to the complex networking infrastructure that powers the new smarter world in the Smarter World Tour truck. In addition to the truck, NXP will also have an adjoining pavilion to showcase a variety of solutions. Also, new this year, NXP will demonstrate ADAS technology at the Autonomous Vehicle Marketplace in the North Plaza. A number of NXP experts are available throughout the show to deliver demos, comment on breaking news and brief the media and analysts on NXP technology. To book a meeting or demonstration session, please contact: nxp@hoffman.com. NXP Semiconductors enables secure connections and infrastructure for a smarter world, advancing solutions that make lives easier, better and safer. As the world leader in secure connectivity solutions for embedded applications, NXP is driving innovation in the secure connected vehicle, end-to-end security & privacy and smart connected solutions markets. Built on more than 60 years of combined experience and expertise, the company has 44,000 employees in more than 35 countries and posted revenue of $6.1 billion in 2015. Find out more at www.nxp.com.